-There are about 3 billion searches on Google each day. -XML sitemaps are recommended but not always needed for smaller sites. –Google Insights provides great data on keyword trends. -Average time on site is a good proxy for the value of keywords (find in Google Analytics). -Good links are editorially given from a trusted source. -Facebook shares had the highest correlation to Google Rankings compared to all other link metrics. -Strategy is important but you need tactics to show you are making progress. -Contact sites that use your photo and ask for a photo credit with a link. -Search for your competitor’s guest post bylines in Google. -Find guest blogging opportunities at Blog Dash. –ToutApp for Chrome highlights email addresses found on a page. -Provide an embed code for images. -In search results, 75% go to organic results and 25% to paid ads. -More than 50% of search queries have no search ads. -Exact match domains are losing effectiveness (according to correlation study). 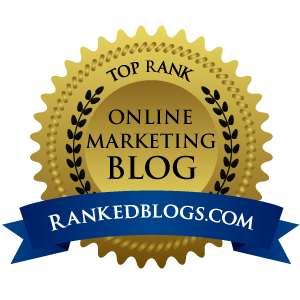 –Rankerizer is a good free tool for checking rankings. -KeywordSpy is a good free and paid tool for seeing what your competitors rank for. -Try taking a blogger out for coffee to build a relationship. -Customers expect your site to load in 2 seconds or less. -40% of customers will abandon a site if it takes longer than 3 seconds to load. -For every 1 second of load time, conversion falls by 7%. -Remove code from your site that you aren’t using. -Using CSS sprites for images can reduce the total HTTP requests. -The cost per acquisition of inbound tactics is significantly lower. -Don’t limit yourself to content that is too specific. -Use Topsy to search your keywords to see what content is being shared. -Monitor Twitter for cool photos and ask permission to feature. -Use iGoogle to create a page of RSS feeds about the target person. -Subscribe to the RSS of their Quora activity. -Use IFTTT to notify you when the target person says your location or area of expertise. -If you don’t know the answer to their Twitter question, RT the question. -Scraper for Chrome can scrape content and export it. -Yahoo Clues provides demographic data at the keyword level. –Keyword Eye provides keyword data from a domain name. -Scrapebox is a tool for scraping keywords from a site. -Link Research Tools tells you what type of links you need to outrank your competition. -Great content + great user experience + SEO will guarantee traffic. -Don’t put SEO front and center on a site. -Invest in the long run with SEO. -Figure out what the influencers are sharing. -Conduct a survey of experts in a niche. -Using data-based content can be an effective way to earn links. -Find an industry controversy, conduct a test, share the data, then reach out to people who have talked about the controversy. -Get data from the web from APIs or scraping and then put it into a visualization.